I am to a great extent impressed with the article I have just read. I wish the author of glimmer.blogs.com can continue to provide so much practical information and unforgettable experience to glimmer.blogs.com readers. There is not much to state except the following universal truth: One of the most awkward things that can happen in a pub is when your pint-to-toilet cycle gets synchronised with a complete stranger. I will be back. For those who are curious, there are five more steps bferoe black belt in my style: green belt, purple belt, and three degrees of brown belt. 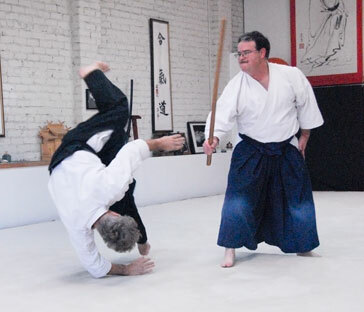 It's at ikkyu, first-degree brown belt, that things slow down. As my sensei put it, it's when things come to a screeching halt. If I nail every review from here on, I'm looking at about a year and a half bferoe I hit ikkyu. From what I'm told, it could be three to five years after that bferoe I'd be looking at black belt, dependent upon when Shihan Walker decides I'm ready. In that sense, it's almost like going through a college program, and thus it's not hard to see why some think the martial arts is a young man's game.